Korogocho is located in an informal sector. That's why security issues sometimes become an urgent risk although there are many good people, too. So Mr. Adam, a security advisor of JICA Kenya and excellent expert of security issues in Kenya, gave us some suggestions and promise that we are cooperating for securing NGO actions in Korogocho. 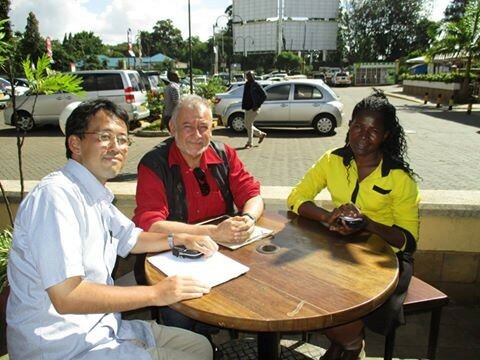 Mr. Adam is very gentle and matured person who understand cultural differences between Kenya and Japan. Many thanks for your time, Mr. Adam!